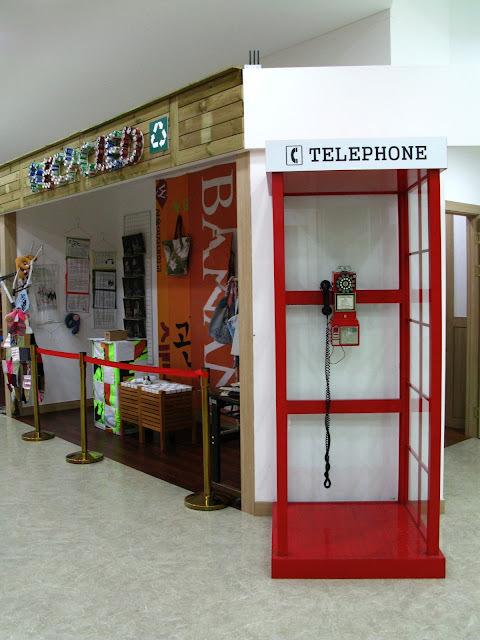 Last week, I went to Icheon to teach at an English Camp for a week. 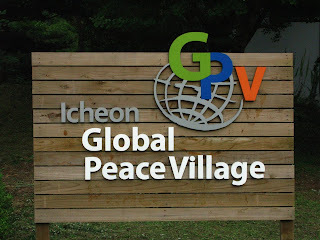 It was the first time I ever taught at a camp, but I truly enjoyed teaching at Unesco's Icheon Global Peace Village. It is a very impressively modern camp with new facilities. Everything coincided with Unesco's message of environmentalism and world peace. Here you can see a student posing over shoes that the students had decorated. All of these shoes will go to Cambodia and they will be given to kids that need them. The kids also got to take a day trip to the Natural History Museum in Daehangno. Here you can see a student with a wax hand mold. I taught Panel Art as part of the extra curricular activity. 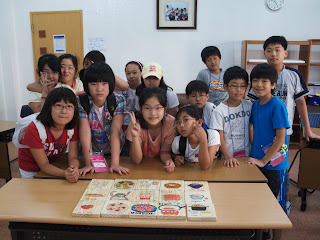 The kids decided to draw panels of Korean food to help the promotion of the food around the world. 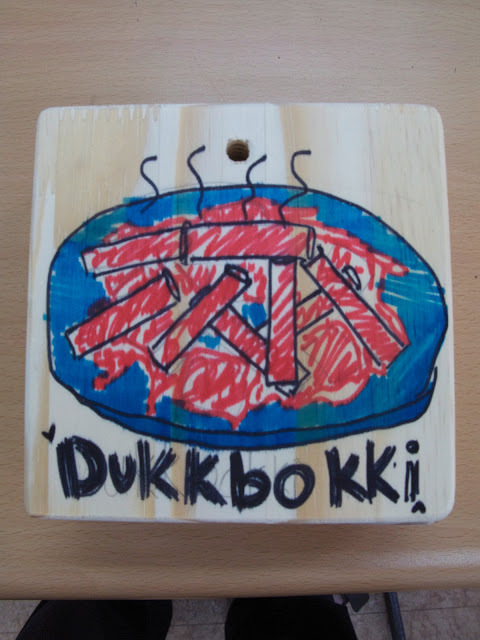 Here is a student's idea of what Dukkbokki looks like. Here is my homeroom class: Team Horse. Our Team's Motto was: Horses are Fast! Horses are Strong! Horses are Smart! Yippee Ka-yo!